Aragog is a python 2.7 script which looks for Facebook Accounts that have invalid emails on their account. This script was only created for Gmail & Hotmail to be checked, but in the future this could be further upgraded in new features. 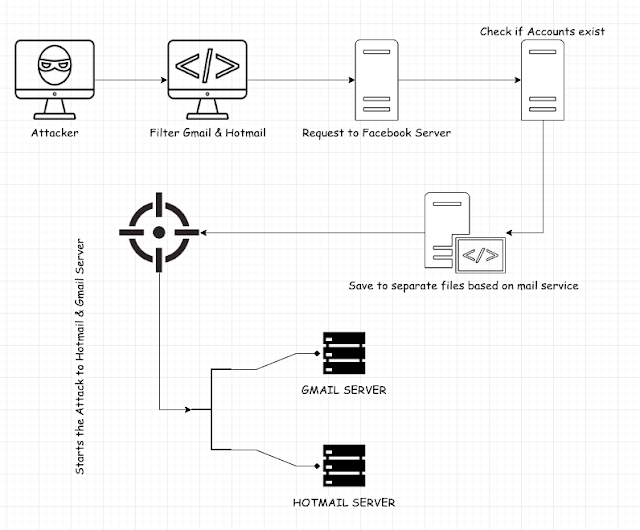 The attack scenario through this script is if the email of the account doesn't exist, the hacker will create a new one same as the Facebook Account and do a reset password. The usage of this script is through putting all the email accounts into filename.txt then run the script and write the mail-list. And the script is going to filter invalid and only take Hotmail & Gmail Accounts. This application is only tested on Kali Linux, but with few modifications you could easy run it into Windows.